This configuration frees you to engage with attendees however you like. 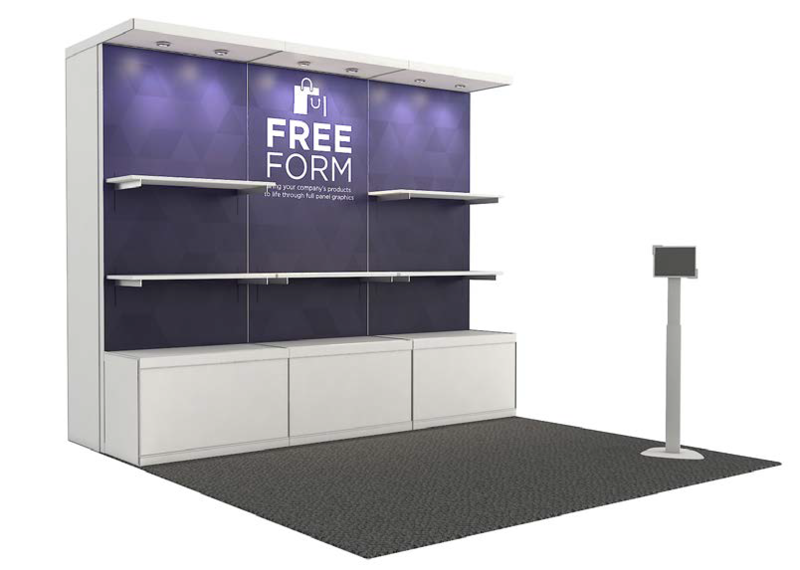 It forgoes the traditional reception counter and provides maximum display flexibility, with well-lit shelving and platform bases. You’ll have a relaxed, casual product review and conversation environment, including a tablet stand.